We can arrange a wonderful host family for your stay. Our host families love to invite students from everywhere around the world into their homes. 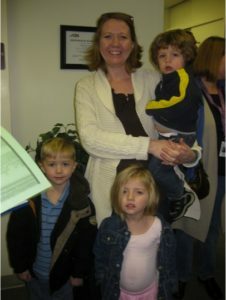 Most families have been hosting our students for many years. Internexus visits each family to make sure we offer a safe and pleasant environment for our students. You may also have other options. These can include of extend-stay hotels, dormitories, and apartment rentals. Please contact your campus to learn what choices are available to you. *Internexus does not endorse this site.